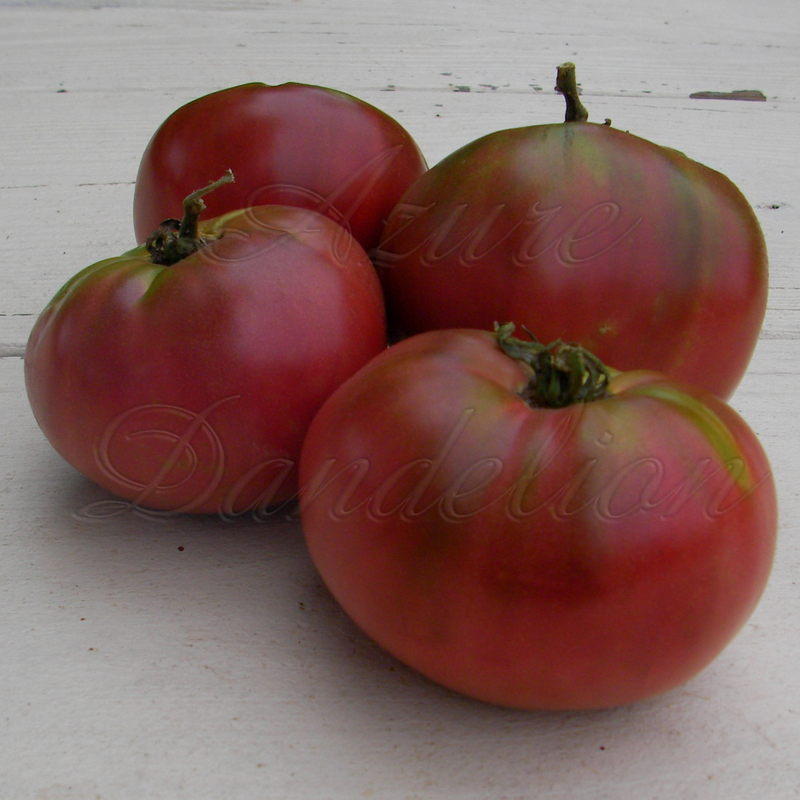 Cherokee Purple Tomato is an old Cherokee Indian heirloom tomato. This variety was offered in seed catalogs pre-1890. Heirloom Cherokee Purple Tomato has beautiful purple burgundy fruit with green shoulders and has deep burgundy flesh with green gel around the seeds. The plants are great growers, easy to care for, and don’t require a large space to grow. You can easily keep a couple of plants in a medium-large pot indoors over the winter. The large fruit of Cherokee Purple Tomato have a delicious sweet flavor, and are great for salads or used as a slicer tomato. Approximately 80 days until first harvest of this variety. This is an indeterminate tomato, which means it has a long productive season.